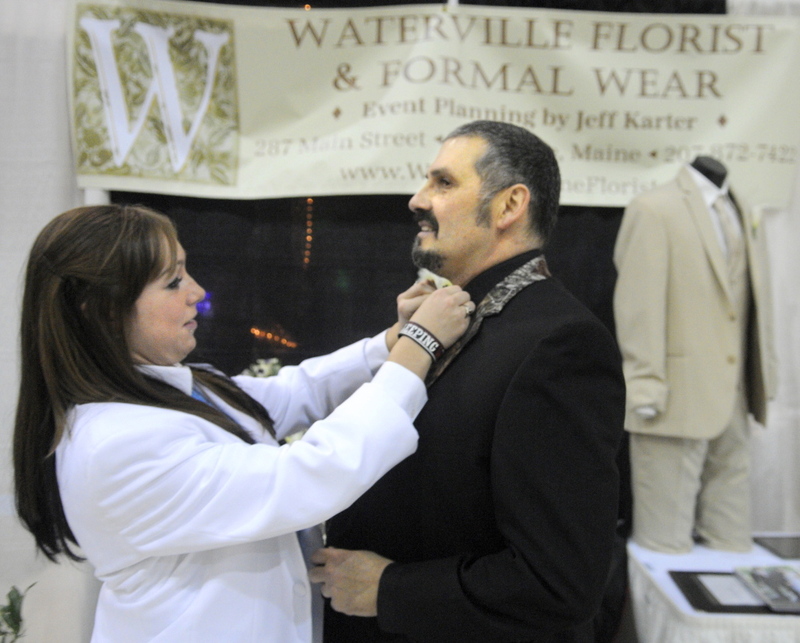 The Maine Wedding Association, host for over two decades, expected 300 to 350 engaged couples for the show Sunday at the Augusta State Armory. 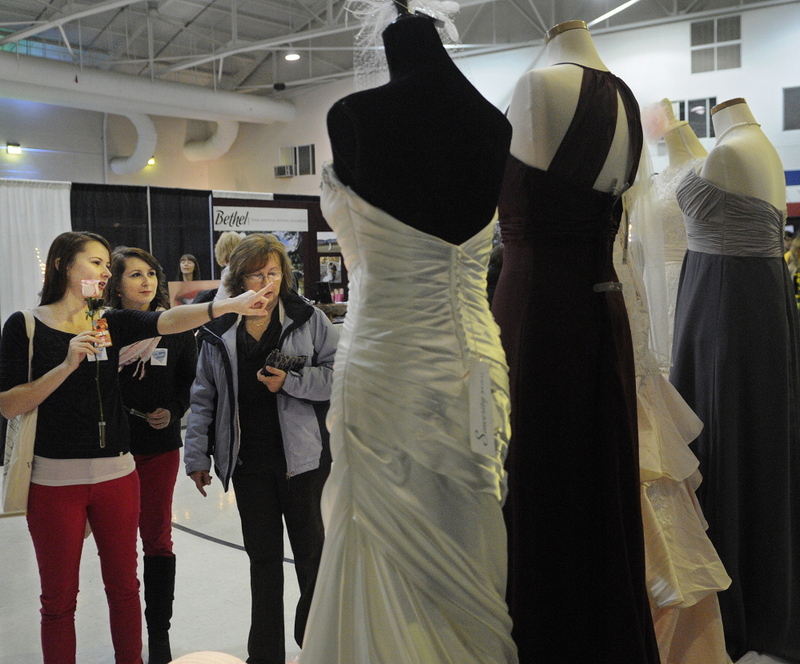 AUGUSTA — Despite heavy, wet snowfall making travel difficult on Sunday, engaged couples with friends and family members in tow trekked to the Augusta State Armory to find vendors for upcoming weddings among the 50 or so businesses with booths. Vendors’ displays at the annual Maine Wedding Association show ranged from examples of photography and floral arrangements to live models wearing wedding dresses and tuxedos. Hussey’s General Store in Windsor — likely one of the few places to buy a wedding dress and shells for your 12-gauge shotgun in one stop — had a booth at the back of the armory with mannequins displaying examples of dresses for sale. Kristen Austin, head of its bridal department, said the store, known for its “Guns, Wedding Gowns, Cold Beer” sign, offers just about everything needed for a wedding, besides tuxedos. The family-owned business opened in 1923, but it has stocked bridal wear since 1955, she said. At the Augusta show last year, the business booked 30 appointments with engaged couples, Austin said. “Some people, they just want to look, but more times than not, they want to commit and make that appointment,” she said. Austin said another benefit of having a booth at the show is so people who may have heard the store stocks wedding dresses can actually see what it has to offer. Around 300 to 350 couples were expected to attend the show, according to Joan Montgomery, owner of the Maine Wedding Association and show organizer. Many of the attendees were engaged women and their friends or family members, but Montgomery said she’s seen an increase in soon-to-be-husbands at the shows. The association, which has hosted the Augusta wedding show for over two decades, also holds shows in Portland, Bangor, Freeport and Auburn. Montgomery said the number one reason people attend is to be inspired. 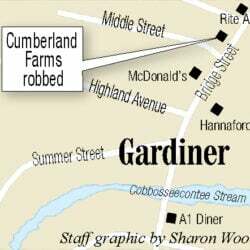 It also gives potential customers a chance to meet the business operators in person, something that’s impossible when just searching for vendors online, she said. “On your wedding day, you want to work with someone you’re comfortable with,” Montgomery said. Jenna and Chantelle Osgood, sisters from Madison with wedding dates two months apart, stopped at the Hussey’s General Store booth Sunday morning with their mother, Lori Osgood. Jenna Osgood, 21, said she has a good portion of the planning done, but Chantelle, 23, who recently moved to Pownal with her fiancÃ©, said she hasn’t made much progress yet for her October wedding. “I’m looking at everything,” she said.